Imagine if your doctor has informed you that you require your wisdom teeth removed. For many patients, they don’t know what will happen during the procedure. 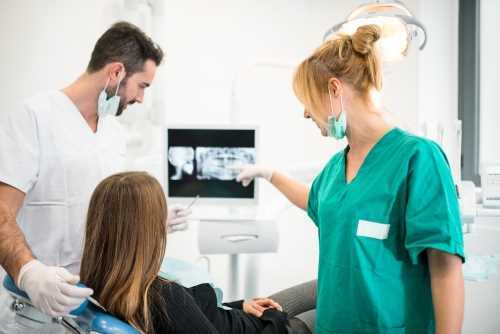 Wisdom teeth removal is a routine procedure that many patients experience; if you are having an extraction, here is what you can expect for your upcoming procedure. Wisdom teeth are often removed when they grow into the smile impacted, there is not enough room in the mouth to house them, or the wisdom teeth suffer from decay. While the most common occurrence of wisdom teeth removal is of the former two options, the procedure goes through the same process. Before your appointment, ensure you have assisted transportation to and from the dental office since you will be incapable of operating a vehicle as a result of the anesthesia. Assuming patients have no medical complications, such as diabetes, your dentist will also have you fast prior to your surgery. Fear is often commonly associated with removing wisdom teeth. However, there’s nothing to be afraid of when wisdom teeth removal is assisted with sedation dentistry. There are several sedation options for patients: nitrous oxide sedation, IV sedation, and oral sedation. Depending on each patient’s level of anxiety, the dentist can adjust the level of sedation to accommodate each patient’s unique personality. Swelling and redness is a normal part of the healing process. Use an icepack to reduce swelling. Patients can expect swelling to subside after 48 hours. Complete recovery can take anywhere from two weeks to a month. It is important to keep the site of surgery clean to encourage proper recovery. Rinse at least four times a day with salt water. Avoid smoking and the use of tobacco products. Patients must also avoid crunchy, sticky, or hot foods, opting for soft, colder foods such as chilled soups and mashed vegetables. Find out more about wisdom teeth removal by calling our practice in Santa Barbara. We’re more than happy to provide patients with a thorough understand of their upcoming procedure.